Description: The Tulip Tower bracelet is another cluster bracelet. 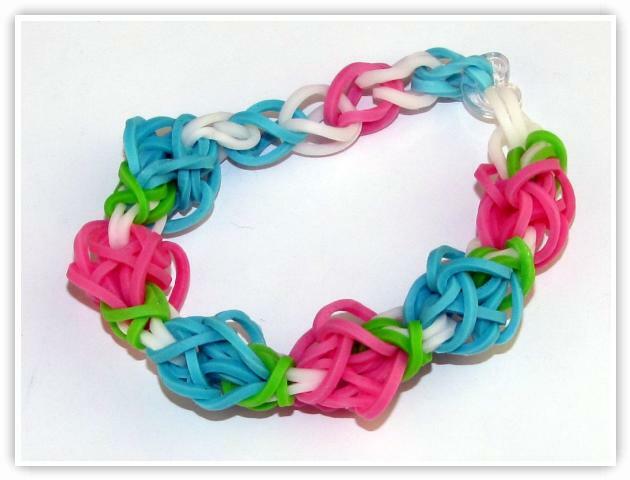 Cluster bracelets are fun to work with because of the various color combinations which could be made. Alternate the colors of the clusters, or create a unique sequence, either way, this bracelet will create nice clusters of tulips.